It is with great sadness that we learned of the death of one of the founders of Québec cinema, the great Michel Brault. He succumbed to a heart attack on Saturday, while visiting Toronto. He was 85 years old. His contribution to our national cinematography is immense. As a cinematographer, producer, screenwriter, adept filmmaker of both fiction and documentaries, pioneer of the French NFB team in the 1950s and leader in Direct Cinema, Michel Brault’s influence reaches well beyond the borders of our country. He also worked in France, most notably with Jean Rouch, Edgar Morin and Mario Ruspoli, and his name appears in the credits of over 200 films. Michel Brault discovered photography and movies alongside his childhood friend Claude Jutra, with whom he would successfully collaborate throughout his career. He shot his first film with Jutra, Le dément du lac Jean-Jeunes (1948). Having studied photography, he joined the NFB in 1956 as the institution was just setting up its Montreal office. He collaborated on the Candid Eye, a made-for-TV film series started by English-speaking filmmakers from Studio B. There he discovered a new filmmaking technique based on the idea of capturing the present moment, using lightweight hand-held cameras. But it was with the French team, as one of its pioneers, that he especially made his mark. He helped invent a new way of making movies at the NFB, both from a technical standpoint (portable and participatory camera, ambient lighting, and sound and image synchronization) and in terms of the approach (meeting filmed subjects beforehand, team work). 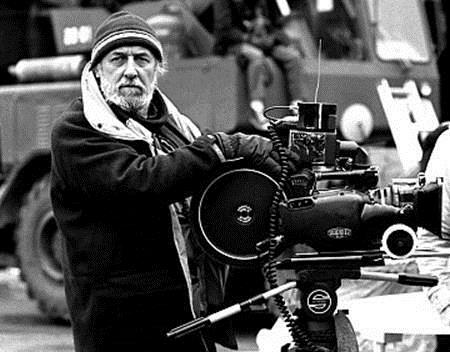 It was with his friends and collaborators Pierre Perrault, Claude Jutra, Marcel Carrière, Claude Fournier and Gilles Groulx that he contributed to creating a new language in cinematography, giving French Canadian cinema its identity. It was under these conditions that he shot the almost underground film Les raquetteurs (1958) with Gilles Groulx, marking the birth of Direct Cinema at the NFB. This was followed by the short documentaries Félix Leclerc troubadour (1958), Jour de juin (1959), Golden Gloves (1961), La lutte (Wrestling) (1961), À Saint-Henri le cinq septembre (1962), Les enfants du silence (1962), Québec-USA ou l’invasion pacifique, where, as cameraman or director, he experimented with the techniques of Direct Cinema. The outcome of his experimentation was the feature length documentary Pour la suite du monde (1962), a masterpiece of Direct Cinema, which he co-directed with Pierre Perrault. During this period, Michel Brault devoted his time equally between the short fiction films Le temps perdu (1964) and Geneviève (1965), and the feature film Entre la mer et l’eau douce (1965). In the 1970s, he collaborated on two important documentaries dealing with the concepts of identity and country: Un pays sans bon sens! (1970) by Pierre Perrault, as cameraman, and Acadia, Acadia?!? (1971) as co-director, again with Perrault. As the uncontested master of the image, Brault had a hand in some of the most beautiful cinematography in the history of Canadian film. Just think of the beauty of the images in À tout prendre (1963), Mon oncle Antoine (1971), the most brilliant film ever to emerge from Canada, and Kamouraska (1973) by Claude Jutra, as well as Le temps d’une chasse (1972) and Les bons débarras (1979) by Francis Mankiewicz, a jewel of Québec cinema written by author Réjean Ducharme, if any convincing was needed. He was also an attentive, sensitive and creative cameraman. Films such as Les raquetteurs (1958), Pour la suite du monde (1962) or Les ordres (1974), for which he won the Best Director Award at the Cannes Film Festival, are filled with bold, original and, dare we say, liberating composition and camera movements, always rife with meaning. His efforts as cinematographer were just as creative. Among them, Les mains nettes (1958), where he audaciously used only ambient lighting to shoot certain scenes; a move that, at the time, was absolutely unheard of for anyone who knew anything about film lighting! He turned to directing movies for TV in the 1980s and 1990s. These included Les noces de papier (1989), a feature film with Geneviève Bujold, and Ozias Leduc… comme l’espace et le temps (1996), a documentary about the famous painter Saint-Hilaire. He also directed two fictional feature films for theatres: Mon amie Max (1994) and Quand je serai parti… vous vivrez encore (1999). In 2002, he directed his last film, La Manic, a documentary about the construction of the Manic 5 dam project in the 1960s. A film buff to his dying days, and imbued with an incredible generosity towards young up-and-coming filmmakers, Michel Brault was a mentor, perhaps even an idol, to all of us. He gave an NFB Master Class last year at the request of his great friend, Monique Simard, Director General of the French Program. We feel privileged to have met him in person at the NFB’s Pierre Perrault Screening Room (a happy coincidence), but we had no idea that, for us, it would be the last time. Thank you, Mr. Brault, for everything you have done for Québec cinema! A new generation of highly talented filmmakers – Denis Villeneuve, Xavier Dolan, Jean-Marc Vallée, Anne Émond, Chloé Robichaud and several others – continues to put the international spotlight on homegrown cinema. You may now rest in peace. Québec cinema will continue to exist and blossom, thanks to you! *This post is a translation from a French blog post. It was written by Catherine Perreault, Web Writer, and Marc St-Pierre, Collection Curator. One of our greatest world filmmakers. With ‘Les Raquetteurs’, ‘La Lutte’ and ‘Pour La Suite du Monde’, he transformed documentary cinema. Thank you for the this write-up. Michel Brault’s death is a big loss to us all who enjoy cinema, particularly from Quebec, but I believe his legacy is absolutely wonderful. Can I kindly ask you to provide English translations – official or not – on the movies with French titles? It would help tremendously to have a clue as to what the movies were all about and maybe even memorize them. A link to a site with info about them would be even more helpful. Merci. – L’Acadie, l’Acadie?!? / Acadia, Acadia?!? I hope it helps. For more info on the movies, check out IMDB’s Website (www.imdb.com) where most French titles are listed with English descriptions. We meant to say “no idea”. It’s a case of “lost in translation”. Thank you so much for pointing it out to us. The mistake has been corrected. This article misses the seminal film in direct cinema -The Days before Christmas – with Michel’s and Wolf Koenigs very early use of the hand held camera. I learned so much from Michele on this production. He is a great loss to the Canadian film community. He was always trying some thing new. Discover three short NFB films that will certainly put you in a Denis Villeneuve inspired headspace for his upcoming film, Blade Runner 2049. Download Classic Hockey Films For $0.99 Each! It's hockey season! Lace up your skates, grab your stick, and download 5 hockey films for only $0.99 each!